There are many reasons to love boating, such as the fresh air, abundant sunshine, gentle spray, and the ability to cruise the wide-open waters. But just because we enjoy the unique freedom that only boating offers does not mean that there are not important “rules of the road” to know and to follow. 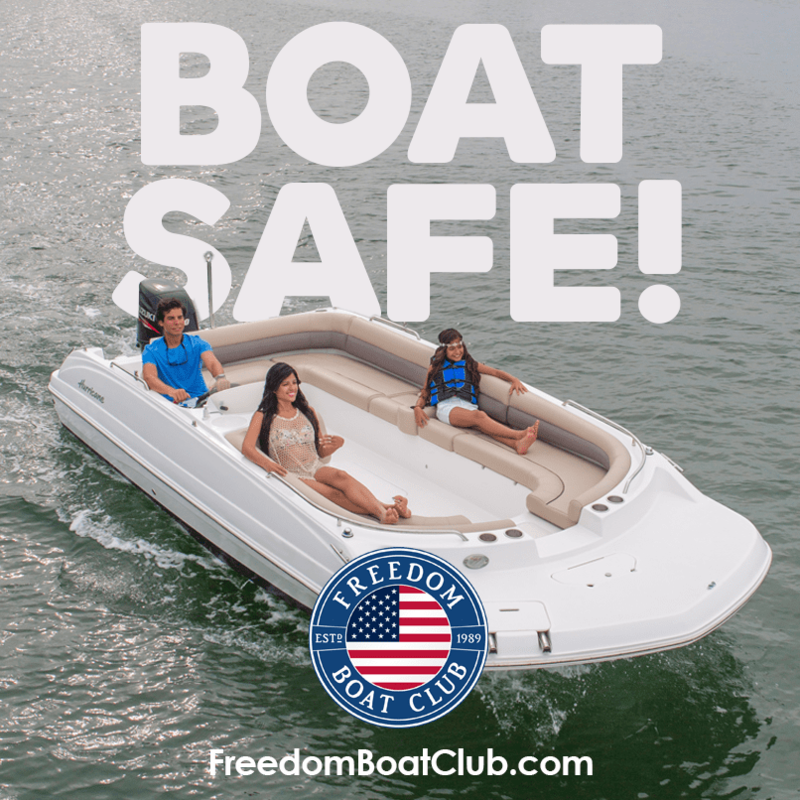 Happy boating is safe boating. Always check for all safety gear before leaving dock. Is there a properly sized life jacket for every person on board? Make sure you have a fire extinguisher, bumpers, ropes, and any other safety items you might need. Young children should wear life jackets at ALL times (and any adult who is not a good swimmer). Check the plate near the helm to make sure you are not exceeding maximum capacity or weight of the boat. Make sure you have a waterproof map of the area where you will be boating. Always be certain the engine is running before pushing off the dock or pulling the anchor. Before venturing out of the channel but sure to check charts for water depth or potential hazards or obstacles. Dangerous storms can form quickly. Always have an escape plan if lightning is possible in the forecast. Never anchor a boat from the stern. When you are pulling wakeboarders, skiers or people on a tube, it is vital that someone maintains visual contact and quickly alerts the captain when someone takes a spill. Alert passengers before making any sudden or sharp turns, quickly slowing down or speeding up. Always consider having a “designated captain” if people are planning to consume alcohol on the boat. It is also important to remember that because of the elements – wind, sun, waves – alcohol often has an exaggerated effect while boating. Before docking, make sure people know exactly where they need to be to help tie off and to keep from bumping into other boats or the dock.